DD Cooling specialise in the installation, service and maintenance of refrigeration, refrigerated vehicles and air conditioning. Our services also include hiring portable cold storage. We are based on the outskirts of Preston, Lancashire and we pride ourselves on our ability to accurately assess your requirements and deliver the right solution for you. At DD Cooling we specialise in the planning, design, supply, installation and maintenance of all types of refrigeration. Whatever your refrigeration needs are we can help you. Whether you are a retailer looking to keep food refrigerated or a large estate in need of a game larder, we can help. DD Cooling specialise in refrigeration systems and coldstore buildings within the fresh produce/root vegetable and food processing industry. Our high powered cooling fans ensure cold air is drawn through packed produce and cooled down, right through to the core, within any given timescale. Whatever your requirements are we can provide you with the right solution. Contact us now for further information or a NO OBLIGATION QUOTE. 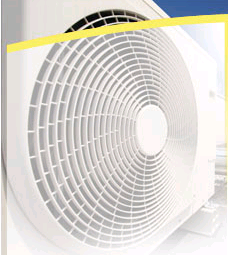 We specialise in the installation of air source heat pumps. Air Source Heat Pumps offer triple the efficiency of even the most efficient boilers. They can produce up to 2/3rds of the heat to warm your home and hot water, absolutely free from the air. Plus you could save another £270 (approx) on yearly fuel costs compared with running an energy efficient A-rated boiler. DD Cooling can now offer repairs and maintenance of refrigerated vehicles. We are able to service your vehicle in our fully equipped workshop at Longridge, alternatively we can come out to site if it is more convenient. Repairs to your refrigerated vehicle can be carried out whilst you wait or the vehicle can be left with us. DD Cooling have a new member of staff who has 20 years experience of working in the Transport Refrigeration service industry to assist us in offering an excellent level of service.